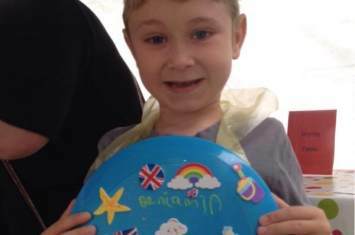 Fabulous frisbees were designed at our craft workshop at Garden Square Shopping Centre in Letchworth during the Summer using acrylic paints and arty accessories. 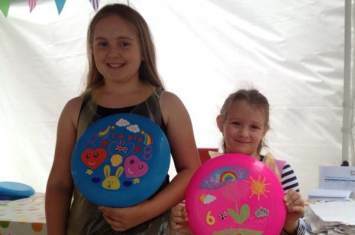 Children can be seen here soaring high with imagination and concentration as they personalised their own 'out of this world' frisbees to take home and enjoy during the Summer holidays.
" 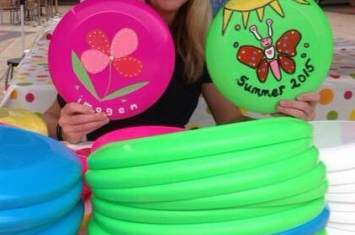 Another fun day decorating frisbees. Thank you. We really enjoyed ourselves "
" Lots of variety of materials to choose from. Lovely staff "
" A well managed and organised activity. Thank you "